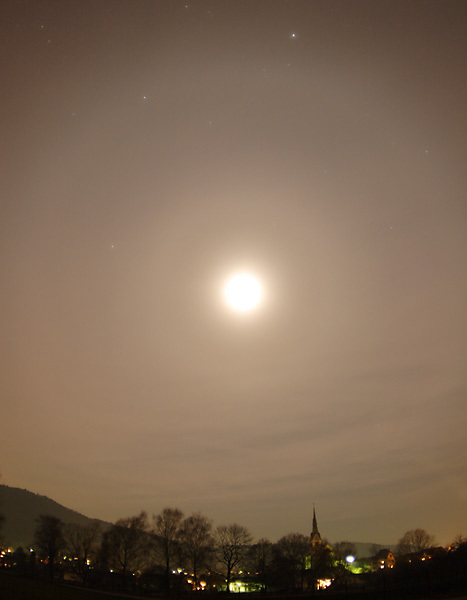 On the 23rd of February Harald Wochner took his obligatory view out of the dormer window towards the night sky. 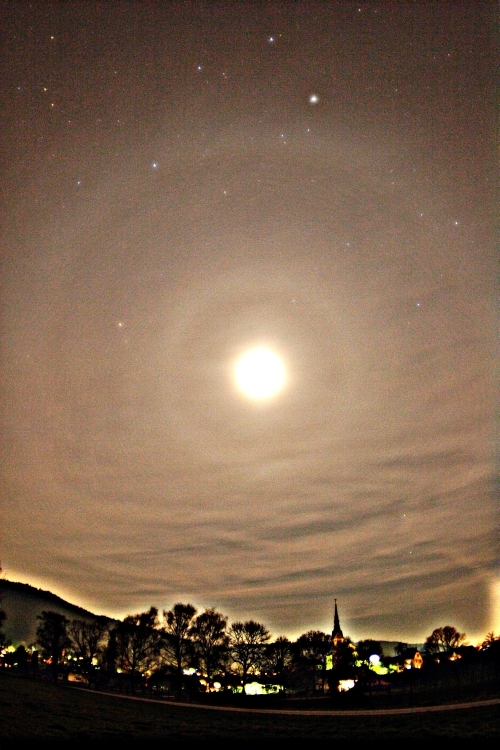 Immediately, he realized an unusual circle which later turned out to be a 9° halo around the moon. Right at this moment he took his Camera and tripod and went a couple of hundred meters away from his village in order to have a darker sky. He could also recognize a feeble 22° halo in larger distance from the moon. There one could see the structures a little bit more. The 9° halo maintained itself in a good shape and could partially better be seen than the 22° halo which acted really diffusedly. Which the descending of the moon, the intensity of the circles decreased steadily. The picture shows the village Wahlwies with its church on the western Lake of Constance. The picture with unsharp mask shows in addition the faint left part of 18° halo.